DN1400: 200M long Pipeline in the Quirnbach dam is installed using microtunneling. The challenge for this project is not the length but the slope. The level difference of 37m over 200m puts the technology to the test. The severe slope in this project brings along some practical difficulties. 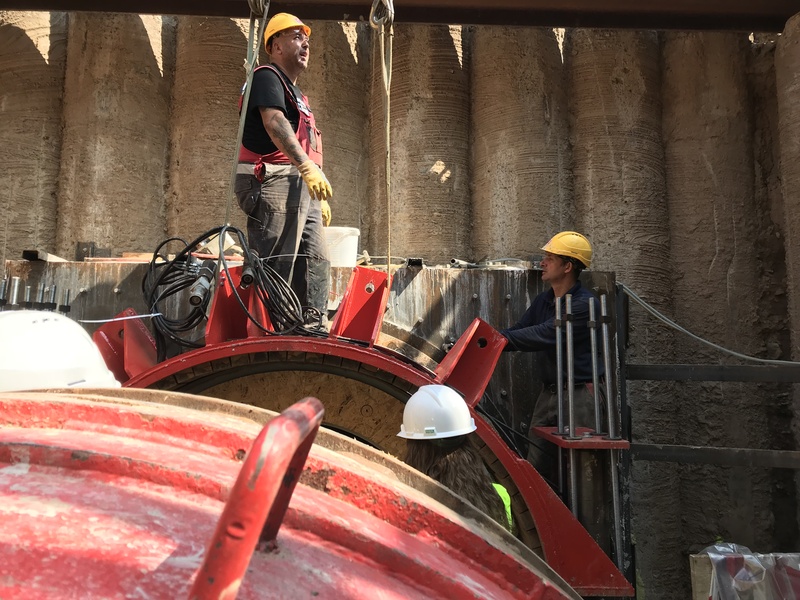 Walking trough the tunnel becomes more a ascension and high static water pressures become a real test for the slurry pumps.